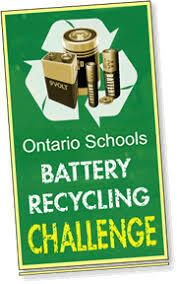 After a very successful first year in which Bayview Public School ended in 3rd place for the Battery Recycling Challenge, we are continuing our effort this year. Please bring your empty batteries to the church (no rechargeable batteries unfortunately) and Tico will pick them up throughout the month and the year. If it is to much to bring to church, please let him know to arrange pickup. Thank you for your contribution.